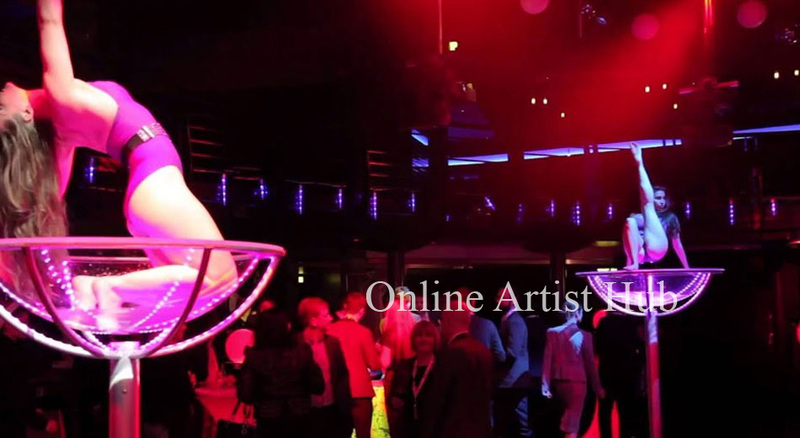 We Online Artist Hub have wide range of International Artists such as, International Silver String Band, International Trio Girl Band, International Symphony Band, International Belly Dancers, Pole Dancers, Salsa / Latino / Samba / Coyote / Fire Dancers, Russian Folk Dancers, International Dance Groups, Hula Hoop Dancers, Moulin Rouge Dancers, Spanish Dancers, African Acrobats. Aerial Acrobats , Moon Acrobats, Duo Acrobats, Champagne Chandelier, Russian Belly Dancers, Martini Glass, Salsa Dancers, Russian Mujra Dancers, Musicians: Harp Player, Flute Player, Piano Player, Saxophone, Guitar/Violin Player, Human Statue, Human Fountain, Human Spring Act, Bubble Act ,Quick Change Act, VIP Red Carpet Entry, Laser Girl, Laser Man, Laser Angels, Fire Angels, Helios Act ,International Dhol Player ,Egyptian Tanoura Dancers, Stilt Walkers, Jugglers, fairies Russian hostesses, Bar tenders, Tequila Shot Girls, Table hostesses, MARTINI ANGEL ACT, Burlesque Stilt walkers / Fire acts/Grinding acts / Choreographed shows / Promotional models / Led Table Hostess, Champagne Glass Hostesses Foreigner Models, Foreigner Promoters. We assure you a good quality and professionalism regards to particular Artist. Our aim is to assist our clients to get the best for their investment made and make task of presenting a great show as easy as possible.